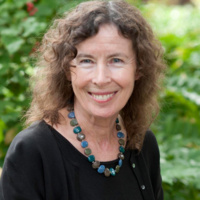 Margot Livesey teaches at the University of Iowa Writers' Workshop. She is the author of eight novels and a story collection, and she has recently published "The Hidden Machinery," a writing masterclass on reading literature as a fiction writer. Livesey is the recipient of fellowships from the Guggenheim Foundation, the N.E.A., the Massachusetts Artists' Foundation and the Canada Council for the Arts, and she has taught creative writing at many colleges and universities, from Boston University, Bowdoin College, Brandeis University, Carnegie Mellon, Cleveland State, Emerson College, Tufts University and the University of California at Irvine, to Williams College and the Warren Wilson College MFA program.